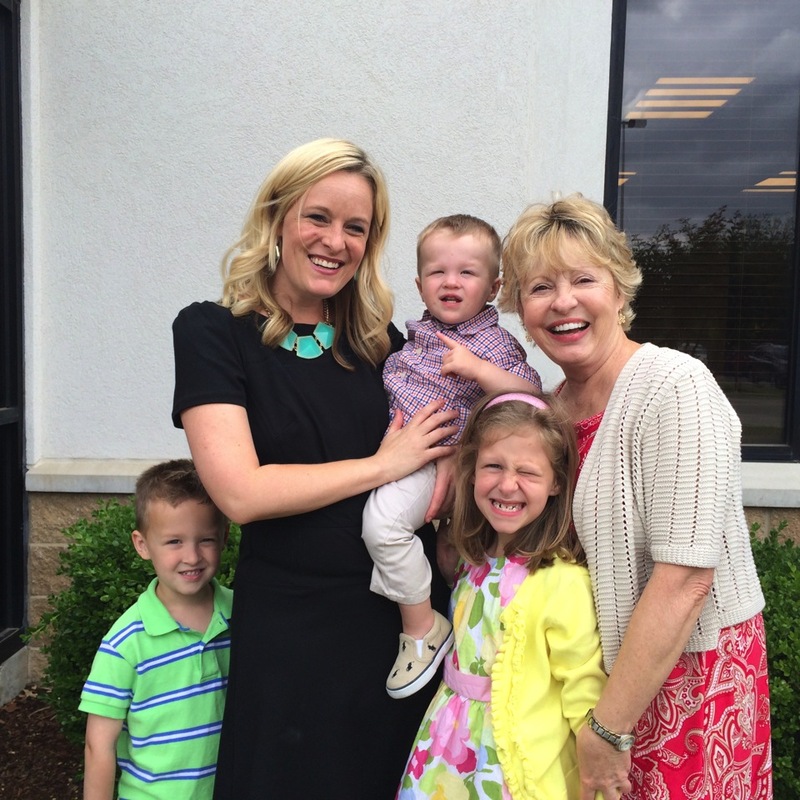 I had a wonderful Mother’s Day this year! Following church we met my Mom, Uncle, Aunt, and Brother at the Bistro, one of my favorite restaurants, for brunch. Going out to eat with 3 kiddos is hard at best but we had a fairly pleasant meal! Here is a quick pic we took after church with my Mom, aka “Nana.” Honestly, I have no idea what I would do without my Mom. Not only does she help us out tremendously, but she is also my very best friend. I love getting advice from her, laughing with her, shopping with her, and the list goes on and on. I just love being with her and my kids do too. And isn’t she just so cute too?! My Mother’s Day gift this year was flowers for our gardens! 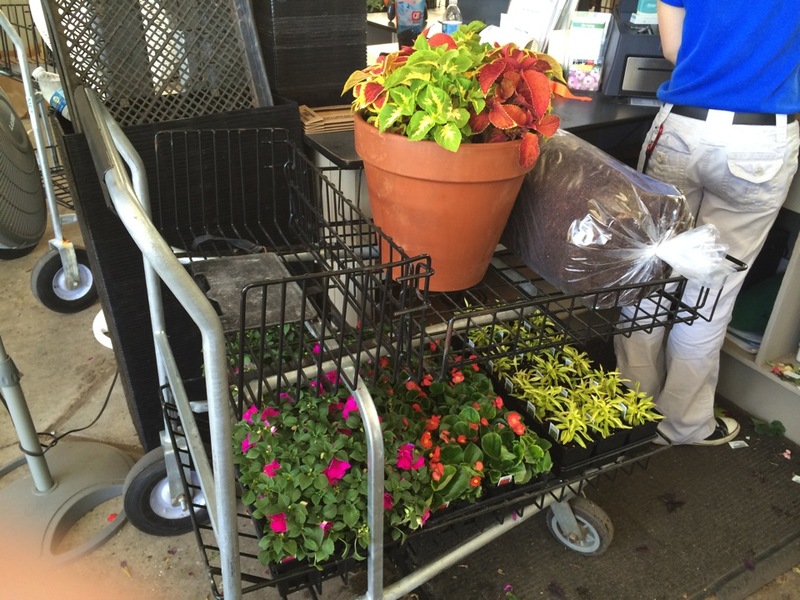 We took the whole crew to Southwoods (and a couple of smaller nurseries) and picked out some annuals for our beds. The kids loved helping. That evening we came home and did some serious planting! 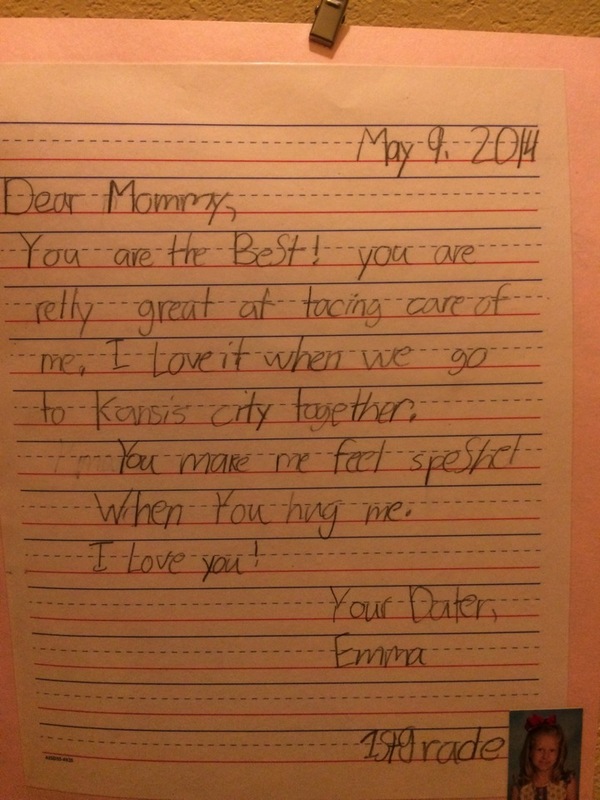 I also wanted to include a little letter that Emma wrote for me at school. Honestly, things like this from my kids are the BEST gifts. I love my kids so much. The Kansas City story she is talking about here is a spontaneous trip that we took over 2 and half years ago but she still talks about it…. my kids adore quality time! Makes me think we should take spontaneous trips like that more often!